Well it’s been a funny old week weather wise. Here in the shire we’ve had rain, snow, hail and wind inter spaced with token gestures of sunshine. 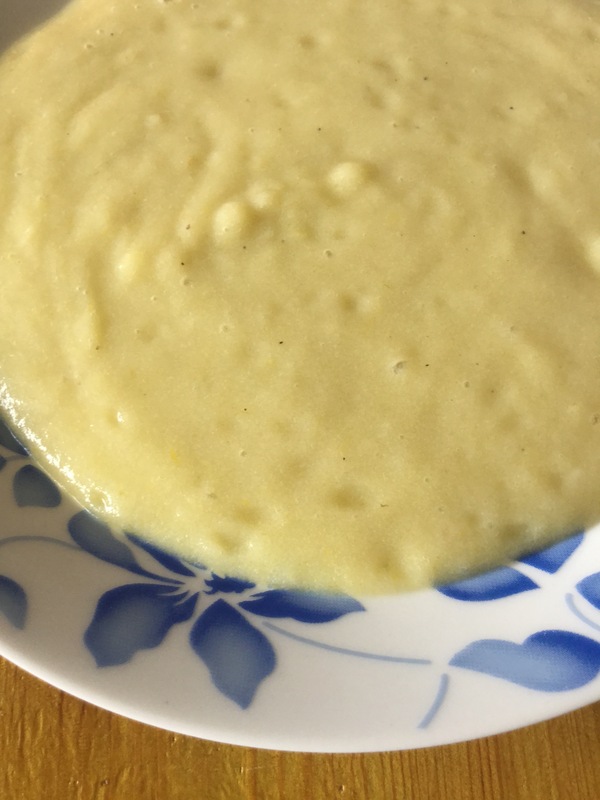 So to amuse mini me, and have something warming for lunch we made a leek and potato soup. It’s comforting in cold weather, and not a drop of cream in sight ( feel free to add some if you prefer though). You can leave it chunky it or blend it smooth, which is my preference, it’s up to you. The main point is it’s super easy, and delicious to. Heat the oil in a heavy bottomed pan, and add the onion. Fry for 3-4 minutes until they soften. Add the leeks and potato cook for a further 5 minutes. It’s better to cut the potato into small chunks so it cooks evenly and faster. Season and add the vegetable stock. You can make your own or use a stock cube with boiling water, either works. Bring to the boil and simmer until the vegetables are tender. 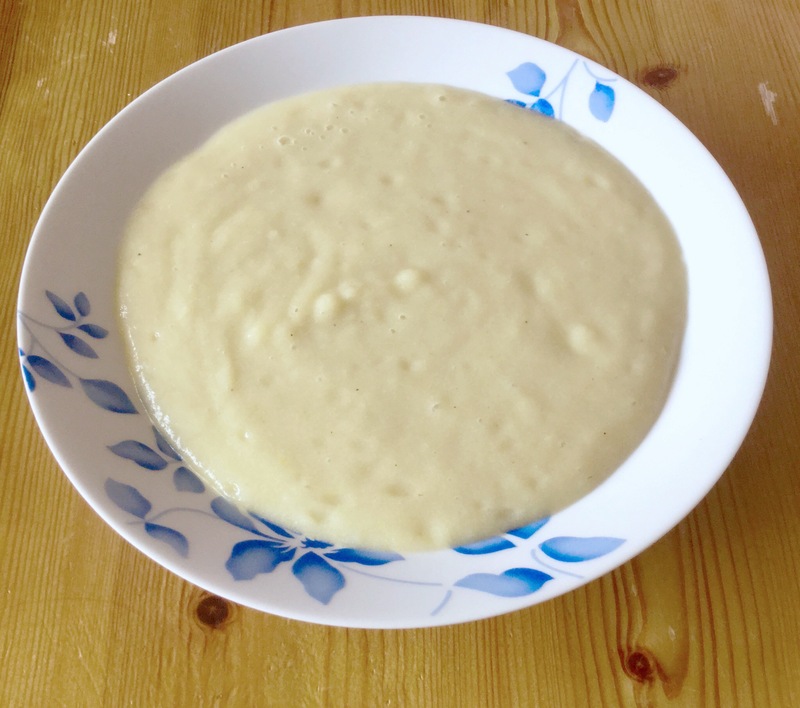 Blend with a hand blender or blender until smooth. Enjoy a bowl when you are ready. It’s that mid-afternoon slump, and unseasonably cold here in then leafy shires. I fancied a latte. 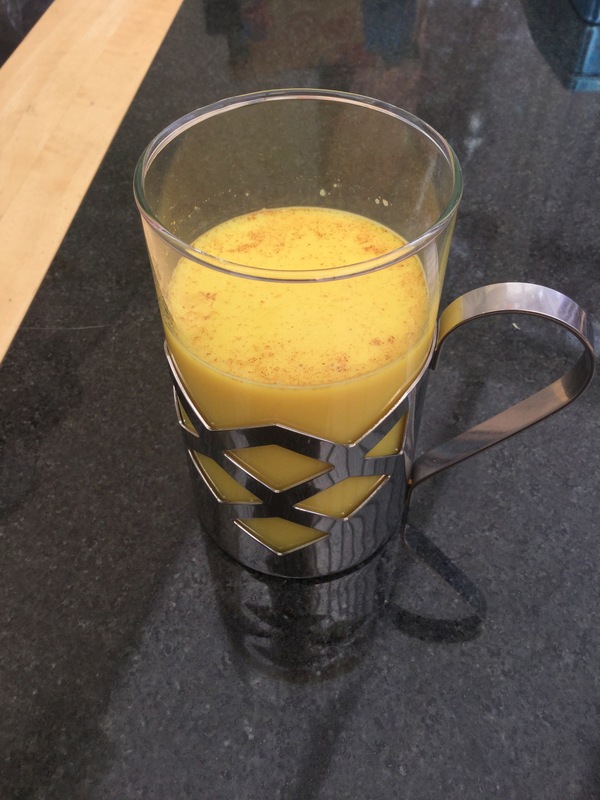 Today I’m having a latte with a difference – Turmeric. As in the South Asian grown spice (related to the ginger plant) widely used in Indian and Asian cooking. I’m not going mad bear with me. Now there has been many a claim about the miracles of this spice. Some of which I’d take with a pinch of salt as there isn’t enough hard evidence to credit or discredit it. So I’m not stating these, however this type of latte is better than your usual sugar laden offerings from high street coffee houses and I’ll stand by that ( oh and it’s tasty to). 250ml of plant based milk, I used coconut but almond or cashew work well to. A sprinkle of cinnamon to serve. Place all ingredients into a milk pan, and heat until steaming. Serve in mug and sprinkle with cinnamon to serve. Sit and relax with your mid afternoon drink. Enjoy. Pre coeliac diagnosis, and having spent a fair amount of time in France I was quite fond of a Madeleine. Post diagnosis and many many attempts at creating a gluten free version I just could not succeed in perfecting the gluten free version of this French classic. I just resided with the fact that this would be on my lust after, but never having list. ( along with the McQueen peeptoe heart shoes, and Johnny Depp). Anyway I digress, my ears pricked up when I heard about Mrs Crimbles bringing out a new gluten free version of the classic Cake. I couldn’t believe my eyes when I found said cakes in my local garden centre of all places. Fosse way Garden centre in case you were wondering. 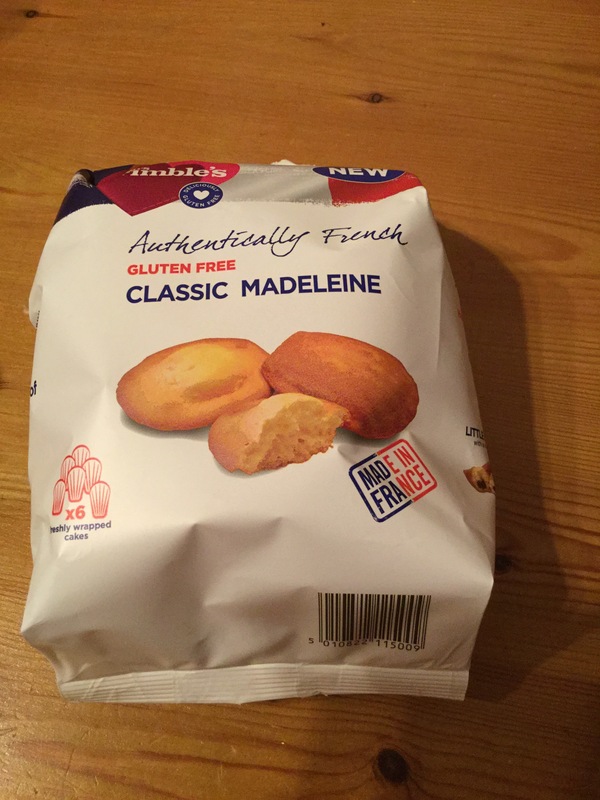 I was impressed, they are all individually wrapped which is handy if you are out and about, and being a normal Madeleine they are the usual size as well- perfect with a cup of coffee. 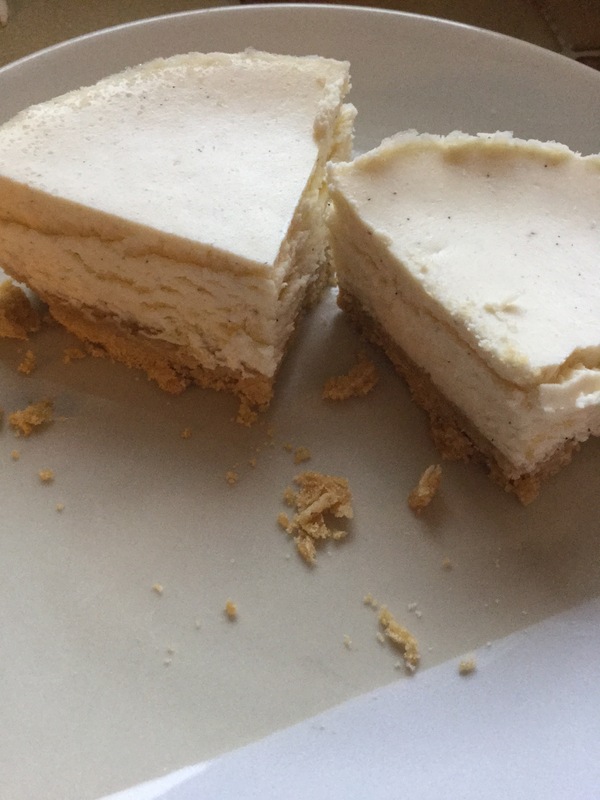 You get a good waft of vanilla when you open the packet, and once you cut into the cake the texture is closed pack like I remember they used to be. 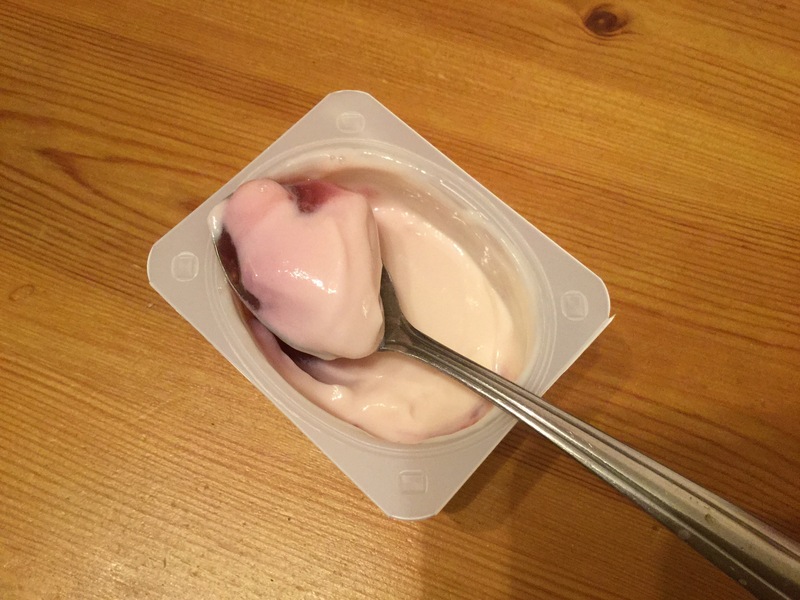 These taste lovely, you get a fairly strong vanilla taste- I like that, and no artificial aftertaste. 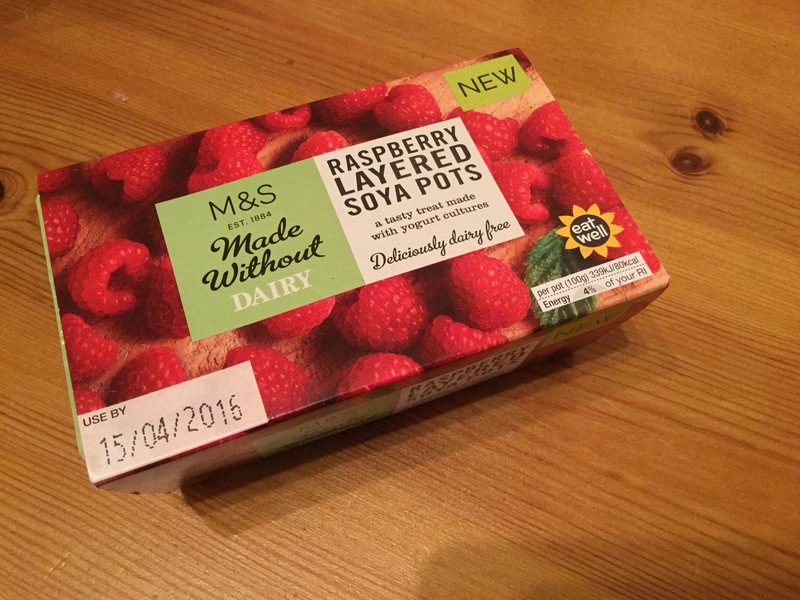 In fact they are quite moreish, so stopping yourself from reaching for another is challenging. 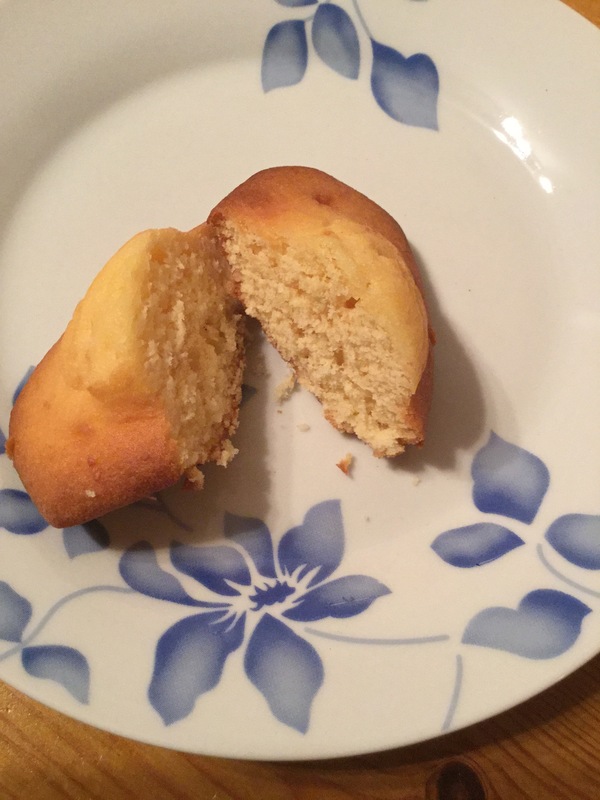 Another point is that they are aren’t dry when you bite into them, as some gluten free cakes can be. All in all I am impressed with them, and I look forward to trying the chocolate ones at a later date. Well done Mrs Crimbles. Have you tried these yet? Let me know your thoughts in the comments below. If you have never heard of Mrs O’s Fuss Free mixes then you are in for a treat. 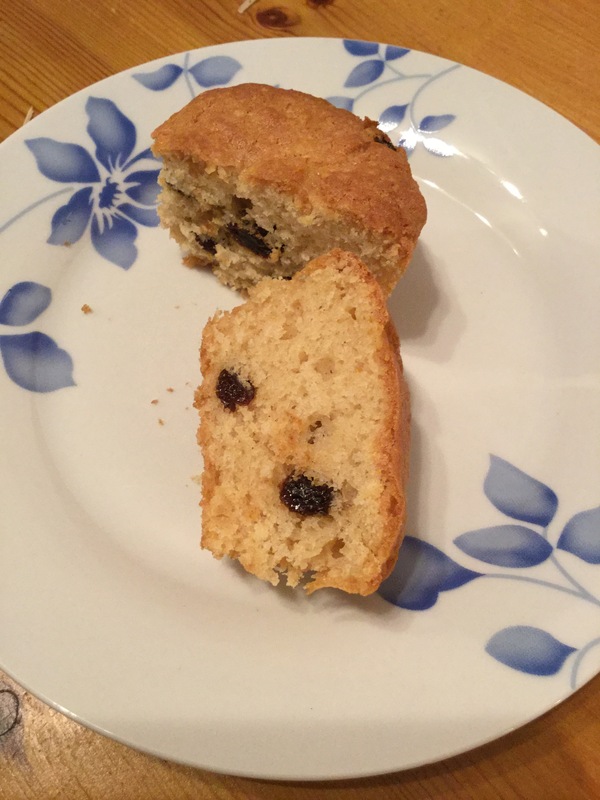 A small company producing easy baking mixes that are all Egg, Dairy, and nut free, and now gluten free. This made my ears prick up as nut free in a mix is hard to find. You can have a look for yourself Here at the different goodies you can buy. 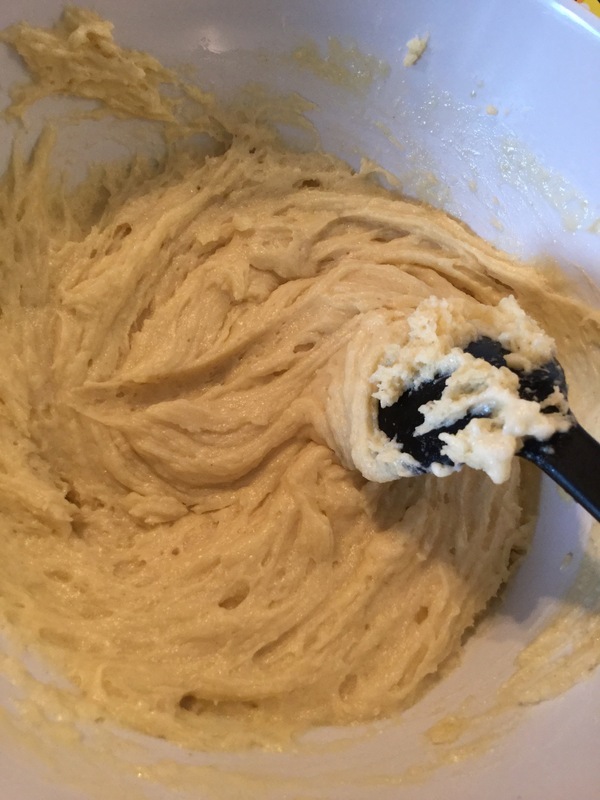 I was kindly sent a gluten free cake mix to experiment with and see what we all thought. 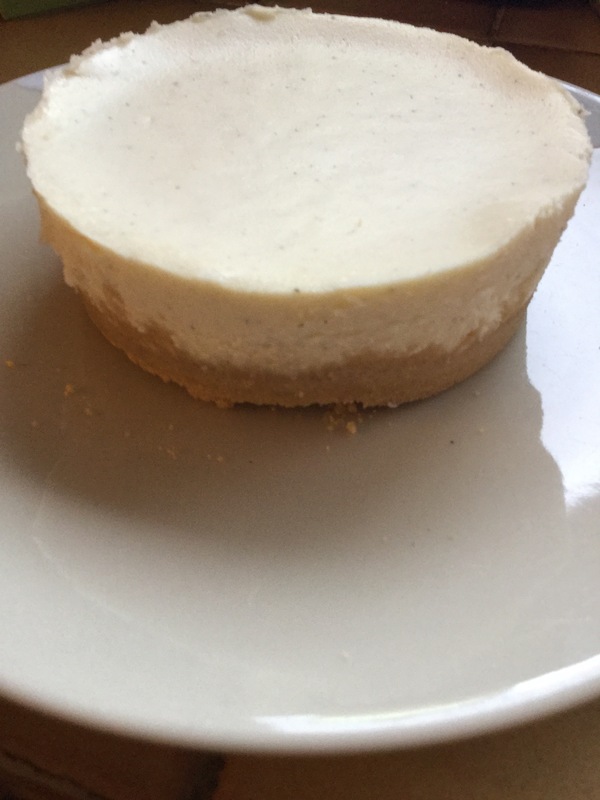 Now I will confess I was skeptical ( I am by nature anyway) of an egg, dairy, and gluten free mix being any good in terms of rise, taste and texture, but I never form judgement until I’ve tried anything. I made cupcakes and added raisins, little one loves them and was demanding them ( Waitroses’ are nut free). These take a shorter cooking time, roughly 20-25 minutes compared to 45-50 minute for a larger cake. Now I have to say I was impressed with the rise in the cakes both small and large, and the texture was light and fluffy. Incidentally they keep better as well, still being soft and moist the day after, unlike some gluten free cakes can do. 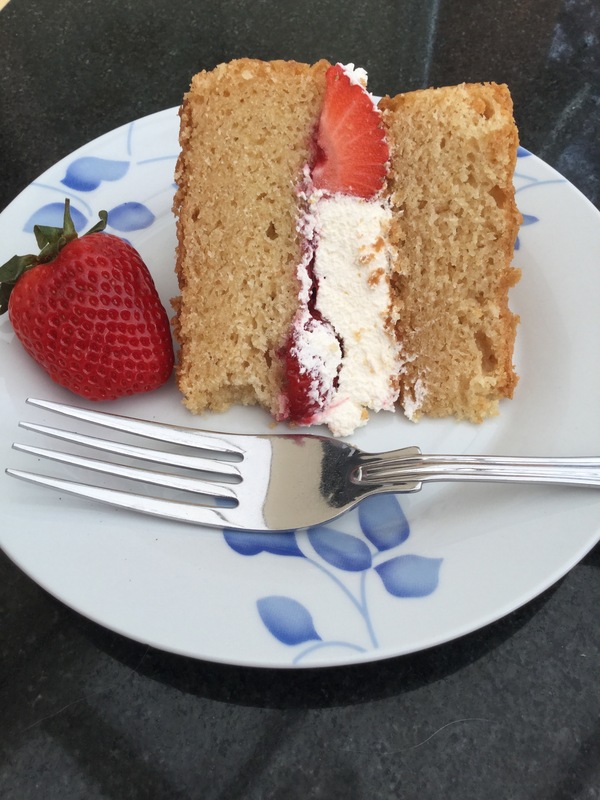 I trialed the Victoria sponge on family, only one other is coeliac, and the verdict was the cake was tasty, moist and that the rise was impressive ( add puns later). I have to say I agree, the addition of the vanilla means you have a lovely flavoured sponge, with no artificial after taste left in your mouth. I used cream as a filling with jam, I think buttercream would make the whole thing too sweet, but that is just me. 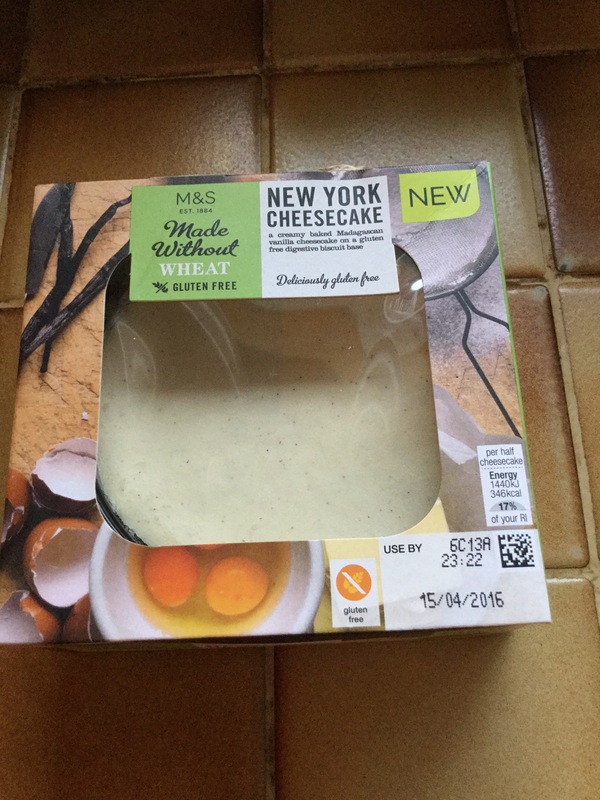 It works well with other flavours to, I think a coffee cake will be next on the list. It was great that mini me could also join in and no worry of her swelling up which is a bonus, and aside from the cooking time the whole thing took all of 10 minutes to put together which is great. The only slight disadvantage I could see some people having issue with is the cost of the product which ranges from £5.50 to £8.50, but for me peace of mind and convienience if you are in a rush are huge advantages, and well worth a try – I’m looking forward to the gluten free brownie mix when it’s available. Disclaimer- I was sent this product to trial, but all views are my own, honest opinion. Morning all, I hope the week it treating you well? 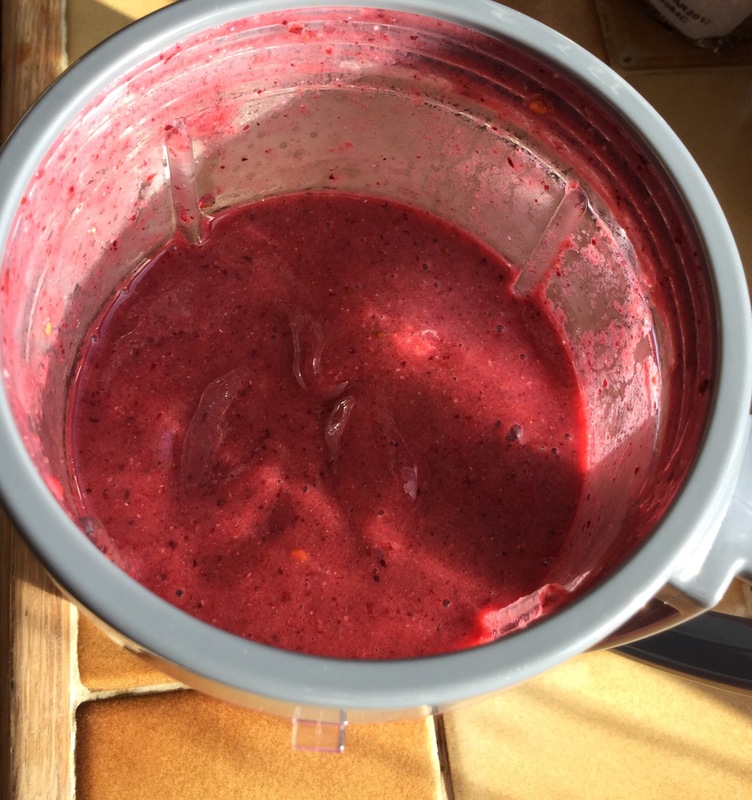 Just thought I’d share my smoothie this morning, I’ve been using stuff up and this totally works.